1. 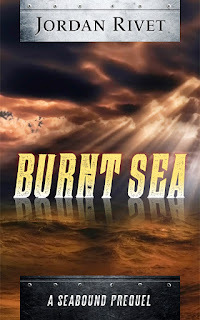 Rewrite Burnt Sea (the Seabound prequel). Done! 2. Finish revising Seaswept (Seabound Chronicles 2). Done! 3. Publish Seaswept in e-book and paperback. Done! Here's the link to Seaswept. 4. Rewrite Seabound Chronicles 3. Done! The title is Seafled. 5. Finish revising Burnt Sea. Done! 6. 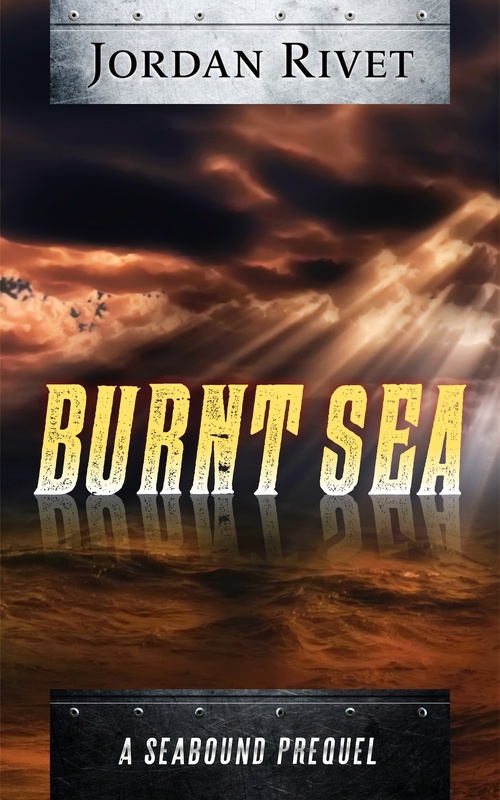 Publish Burnt Sea in e-book and paperback. Done! Here's the link to Burnt Sea. 7. Finish revising Seabound Chronicles 3. Done! 8. Publish Seabound Chronicles 3 in e-book and paperback. Done! Here's the link to Seafled. 9. Write a memoir about growing up in a homeschooling family of nine kids, possibly of Kindle Single length, under the Shannon Young name. The project is complete, but I haven't yet decided on the appropriate publishing path for it. 10. 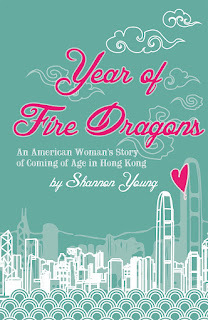 Promote Year of Fire Dragons in Hong Kong and during the US/e-book launch. Done. I was also able to speak about the book at the Hong Kong International Literary Festival again in November. 11. Write a brand-new novel for NaNoWriMo, probably under the Jordan Rivet name. I wrote 34,000 words during NaNoWriMo before the Seafled publication consumed all my hours. I plan to complete the draft in January. 12. Begin production of a Seabound audiobook. This is on hold for now. 13. Write one more secret pen name short, just for fun. Nope. In fact, I unpublished these three shorts as part of my ongoing effort to devote time only to projects that grow my Shannon Young/Jordan Rivet career. 14. Read Infinite Jest (which has been on my Kindle for a long time) and all the paperbacks I have purchased or been given this year. Nope. This one's still on the to-do list. I watched The End of the Tour on a plane recently, and it has given me new motivation. As for the paperbacks, I made decent headway but my Kindle lured me away almost every time. 15. Make enough money from writing to avoid returning to my day job. I ended up taking a part-time teaching job for October-December to replenish my savings. I'm back to full-time writing until April, at which point I'll reassess my situation again. I have big plans for the intervening months! 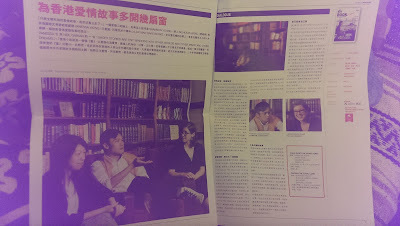 Here's one I never expected: an interview in Chinese! Looking ahead to 2016 is quite exciting. My writing and publishing process is getting smoother, and I have a better sense of how long things take. I've decided to set 10 goals for the coming year. 1. Release a box set of the Seabound trilogy. 2. Finish my NaNoWriMo project, a Hong Kong love story called Ferry Tale. 3. Publish Ferry Tale under the name Shannon Young. 4. Complete Book 1 in my new fantasy series. 5. Commission covers, possibly with custom artwork, for the fantasy series. 6. Write Book 2 in the fantasy series. 7. Publish Books 1 and 2 approximately 6 weeks apart to gather sales momentum. 8. Write Book 3 in the fantasy series. 9. Write first draft of a new post-apocalyptic book (this great idea jumped fully formed into my head on the MTR one day). 10. Publish Book 3 in the fantasy series in time for Christmas. Thank you all for supporting me along the way, and especially for buying my books and writing reviews. You have all been so kind and helpful. Apologies if you don't see me outside of Starbucks for the next four months!